Fort Santiago is now a tourist attraction. Fort Santiago has changed during the centuries, come and see how? 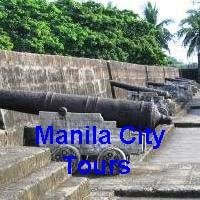 The area which is now occupied by Fort Santiago is a natural defensive position that has been used for centuries. Situated at the mouth of the Pasig River, which runs into Manila Bay it is the ideal place to put fortifications to ensure the safety of the area and to defend against the pirates and marauders which frequented the area. Originally the site of Rajah Sulayman’s settlement prior to Spanish occupation and rule. The Spanish defeated the Muslim-Filipino leader, Rajah Sulayman in the 1500’s. He was the last ruler, of the now Metro Manila area, before the Spanish took control. Once the Spanish had defeated Rajah Sulayman they rebuilt his settlement into a fort, where what is commonly referred to as Fort Santiago. In 1590 the Spanish rebuilt the wooden structures of the original settlement and re-constructed the fort with stone, making Fort Santiago a highly intimidating and imposing structure. Fort Santiago was used by the Spanish as it’s base of power, which it wielded unforgivingly. It housed the Military, Spanish officials and dignitaries and also served as a formidable prison with infamous dungeons where torture was not uncommon. The prison in Fort Santiago also held until his execution, Fort Santiago’s most famous prisoner. There is absolutely no doubt that Jose Rizal is Philippines national hero. He was born in the Philippines, in Calamba, Laguna province, and was 35 years old when he was executed by the Spanish. He spoke 22 languages, not only did he master languages but was also an academic, artist, scientist and surgeon, but above all else he was a nationalist. Through his extraordinary diversity and national pride he wrote many items depicting the cruelty of the Spanish over the oppressed Filipino people. By doing this he also made himself a target. When the Philippine Revolution started on 26th August 1896, Jose Rizal was one of the first to be rounded up and thrown into the dungeons at Fort Santiago. It was during his final days in Fort Santiago, that he penned his final poem, one that will be remembered forever. It was untitled originally but is now commonly known as Mi Ultimo Adios , My Ultimate Goodbye. Jose Rizal was executed on 29th December 1896 by a Spanish firing squad. The Rizal Shrine now stands in Fort Santiago in honour of Dr Jose Rizal, hero of the Philippines. A visit to Manila is not complete until you make you last respects to this great man. When the Japanese took the Philippines during World War 2, at the same time Pearl Harbour was bombed, a new and cruel ruler took up residence in Fort Santiago. They soon discovered the use of the dungeons and sent many Philippine freedom fighters to there death by either torture or execution. The bottom dungeons were also affected by the tide, so drowning in cells was not uncommon. The US destroyed the fort during the Battle of Manila in 1945 and was soon restored. Fort Santiago has been restored and you will find most of the areas preserved. Worth visiting inside the Fort proper is the Rizal Shrine, the museum where you will find a replica of Jose Rizal’s prison cell set up supposedly before he was executed. He can also visit the dungeons in the prison which s worth a look. The rest of Fort Santiago has been set up into a beautiful park. I have put a photo gallery together of Fort Santiago, so if you would like to see more photos, you can find them here. Fort Santiago is in Intramuros, Manila. If you are coming to Intramuros by LRT, get off at the United Nations Station. From here it is only a 20 to 25 minute stroll to the gates of Intramuros. 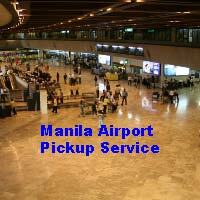 Taking a taxi is very easy as Intramuros is such a popular destination all taxi drivers know where it is. Take the jeepney that travels down Bonifacio Drive as this is where you will want to get off.